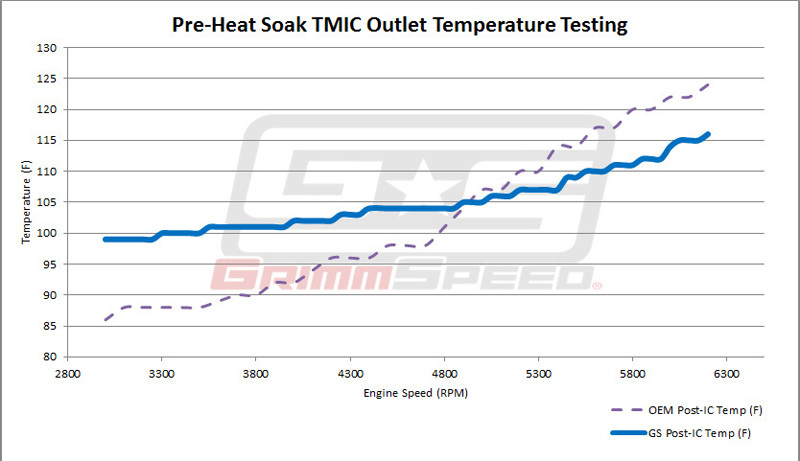 Of course, power figures vary from dyno to dyno, and actual power gains will vary from setup to setup. 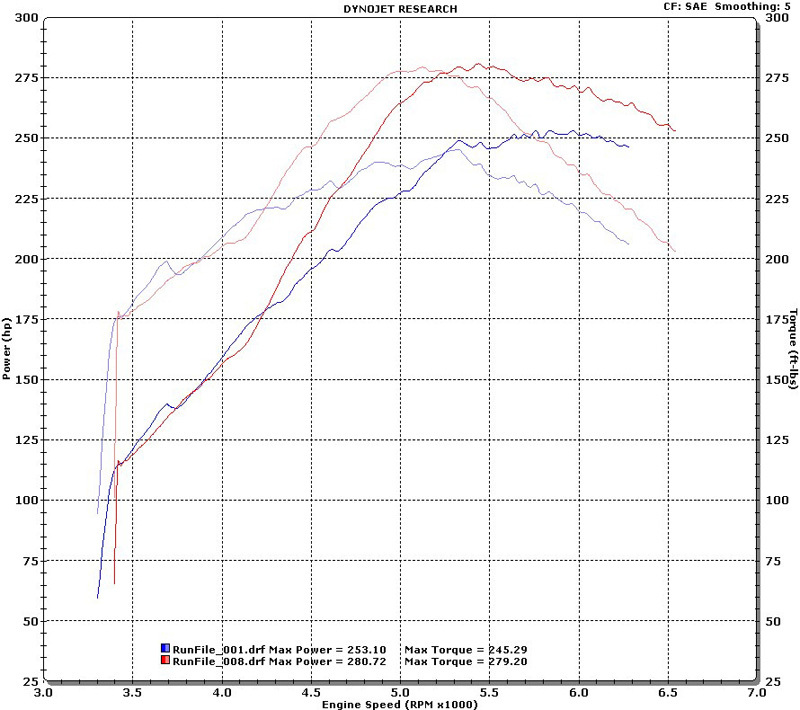 What’s shown below are the actual before and after power curves for a Forester XT running a vf39 on an auto trans. 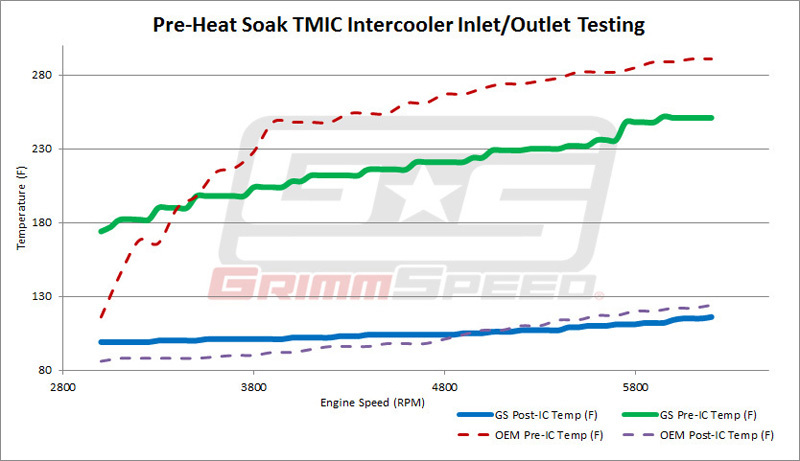 After the first pull, the car was tuned for the GrimmSpeed TMIC, to take advantage of the additional cooling and much lower pressure drop. 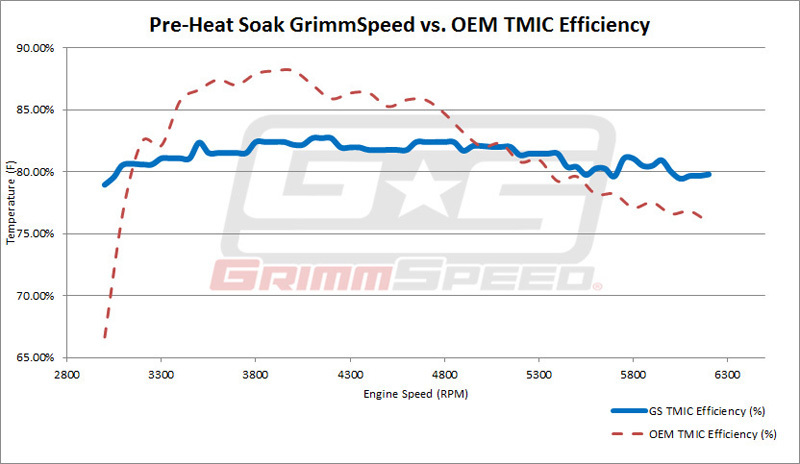 At 5000rpm, the car picked up an additional 35whp and 37ftlb. An intercooler functions by forcing the ambient air coming into your hoodscoop through the core, where it interfaces with the hot charge air and carries heat out the bottom. If your splitter doesn’t seal perfectly, ambient air is likely to take the path of least resistance and slip around the TMIC. 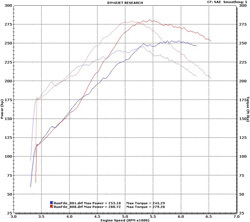 We’ve found noticeable performance improvement when using a correctly-fitting TMIC Splitter compared to an incorrectly fitting splitter. We has designed and manufactured a wide range of splitters so that no matter your application, you have a custom splitter that will extract maximum performance from the GrimmSpeed Top Mount Intercooler. Follow this link to learn more and be sure to use the correct splitter for your vehicle and hood scoop.